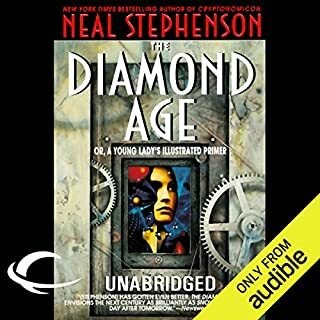 Wil Wheaton, a Star Trek: The Next Generation alum, is a canny choice for narrator of this intersection of science fiction and Elmore Leonard-esque Hollywood farce. In addition to being a rather prominent footnote in sci-fi history, Wheaton’s also got a great voice — sonorous, with an inflection similar to a late-night radio DJ who’s bemusedly sharing an anecdote on air between tracks. His voice also carries a hint of that lilt peculiar to many native Angelenos, which comes in handy when he exaggerates it to Valley Girl-proportions to portray starlet Michelle Beck, former cheerleader and current box office draw. Hollywood agent Tom Stein is the book’s hero, and when the story begins, Michelle is his most important client. That is, until Tom meets Joshua, an extraterrestrial whose alien race hires Tom and his boss, superagent Carl Lupo, to represent them. The Yherajk have decided their best hope for a peaceful first contact between their race and all of humanity is to out themselves via the movies, and they know if they want to make it in Hollywood, they need good representation. Wheaton’s voicing of Joshua, who has traveled to Earth as the Yherajk’s representative, is another highlight. Joshua, like his kinsmen, looks like a gelatinous blob, gives off a noxious odor, and slithers around amorphously. He’s also incredibly educated when it comes to human pop culture, having logged countless hours watching sitcoms. Wheaton delivers Joshua’s line, “We look like snot. And we smell like dead fish,” in a nasally deadpan that suits a one-liner-delivering alien to a T.
The space-faring Yherajk have come to Earth to meet us and to begin humanity's first interstellar friendship. There's just one problem: They're hideously ugly and they smell like rotting fish. So getting humanity's trust is a challenge. The Yherajk need someone who can help them close the deal. Enter Thomas Stein, who knows something about closing deals. He's one of Hollywood's hottest young agents. But although Stein may have just concluded the biggest deal of his career, it's quite another thing to negotiate for an entire alien race. To earn his percentage this time, he's going to need all the smarts, skills, and wits he can muster. 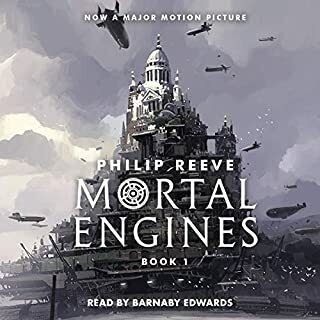 ©2005 John Scalzi (P)2010 Audible, Inc. This is my first book by John Scalzi, but definitely not the last. His sharp anad slightly sarcastic humor, effortless wit and narrative flow remind me a lot of "Good Omens" by Neil Gaiman and Terry Pratchett. The characters are interesting, multi-dimensional and over the top, while still believable and very much likable. The way the story weaves through the fantastic elements and the mundane elements is thrilling. Separate tip of the hat to Wil Wheaton, an excellent narrator. His characters are very distinct, his technique is flawless and Joshua the Alien sounds like a true hipster, which, i guess is expected for a gelatinous life form. I would recommend this book, you will enjoy it! Most fun I've had with an audiobook! I had so much fun listening to this book. The story was great. The narrator was spot on. He was exactly what I'd expect a Hollywood agent to sound like. The wise cracking alien was an additional bright spot. So what would happen if the aliens came, but instead of nice sleek greys like Close Encounters they stank like the worst thing you could ever imagine? Well, John Scalzi - who has obviously had some experience dealing with Hollywood agents - puts together a wonderful story of how this might unfold. He has wonderful characters that cover a wide range of possibilities. This is a wonderfully comic romp that pokes fun at many a sacred cow. It also has its very, very somber moments - especially concerning the Holocaust - but is a wonderfully engaging story that you will not want to stop until its completely done. The narration by Wil Wheaton - best known as Wesley Crusher from Star Trek the Next Generation - is well done. He voices the characters, especially the snarky alien, perfectly. This author was new to me, as was the narrator,(though of course I remember his roles in Star Trek etc with fondness). Hope it won't be the last. The reading was clear and well punctuated with only minimal thespian over-indulgence. I only tend to write reviews if I have something to complain about or something to praise, happily, this is the latter. 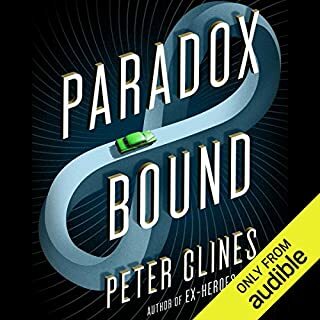 The book had me almost rolling on the floor in stiches, a rare event for a Science Fiction book, Audible Frontiers has come up trumps again, well done! A fun farce that eventually loses its way. This is actually the first novel written by John Scalzi and one that he initially self published as an unknown author asking for donations from readers that liked the book. After he became a best-selling author for his Old Man's War series this book was eventually republished in a more traditional fashion and rightfully so. It shows off Scalzi's ability to tell a science fiction story with humor at its core and how he creativity brings together multiple disparate satirical plot points. I enjoyed this one but it wound up feeling a bit disjointed when the latter half of the book included some rather serious topics including the Holocaust, depression, and a person's right to die. None of that is bad in and of itself but the humor of the book was lost as the serious subject matter took over and that just felt out of place for this type of story. That aside it was still an interesting read and I do enjoy experiencing an author's first work so I can see how they have grown in their craft over time. Once again Wil Wheaton teams up with John Scalzi as the narrator and while Wheaton is not one of my preferred narrators I must admit that he does a good job with this one. This is worth picking up just to see how Scalzi's writing career got started but do so knowing that the humor gets put aside towards the end, for better or worse. This is a wonderfully funny mash up of the Hollywood insider story and a first contact tale. Not only is this imaginative but well executed and oddly genuine. Wil Wheaton is a phenomenal reader and I hope he does more. John Scalzi's unique voice in SciFi reminds me of Spider Robinson's intro decades ago, just something totally different. He brings a lot to the table with this fairly short story, but with the intelligence and humor you'd expect from Scalzi. The concept he puts forward is crazy, but you gradually start to come around to the idea that it is not only a worthwhile story, but kind of a good idea that you can't believe you haven't thought of before... Aliens really could use representation. Imagine that you are an Alien race trying to make first contact with earth but are a little worried about the bad wrap you’ve been getting in the movies. What do you do? You get yourself a Hollywood agent. John Scalzi does a wonderful job in this absurdly funny caper. Original, well narrated and a lot of fun. Tom Stein is a young Hollywood agent who used to think that his clients were hard to handle. That was before Tom’s boss assigned him to represent the most important client any agent has ever had to deal with — the first aliens to contact the human race. These aliens — the Yherajk — have been watching our TV broadcasts for years, so they know a lot about humans. They are peaceful and want to make a good impression, but they know it’ll be a hard sell. That’s because they look like The Blob, smell like sweaty sneakers, and have some powers that humans are going to find very disturbing. In other words, they seem more like fodder for our horror movies than friends. That’s why they’ve asked Tom Stein’s agency to represent them. So Tom gets to dump his difficult clients off on a junior agent so he can concentrate on figuring out how to give the aliens an image makeover before they’re marketed to the human public. If you’re already a fan of John Scalzi’s writing, whether it’s his novels or his blog, you’re sure to enjoy Agent to the Stars. It’s non-stop entertainment that’s crackling with that snide humor he’s famous for. The whole Hollywood culture falls victim to his pen as Tom Stein and his competent assistant deal with divas, Hollywood has-beens, the mother of a pampered child star, nosey reporters, rabid fans, and a dumb blonde who wants to move up from playing beach bunny roles to playing a holocaust victim. Yet even as Scalzi delights in poking fun at Hollywood, at the same time he illustrates its cultural significance and shows us how film can be a powerful tool for education, understanding, and social change. Specifically here he highlights the atrocities that were committed by the Nazis during the Holocaust. A few of these scenes were beautifully poignant. 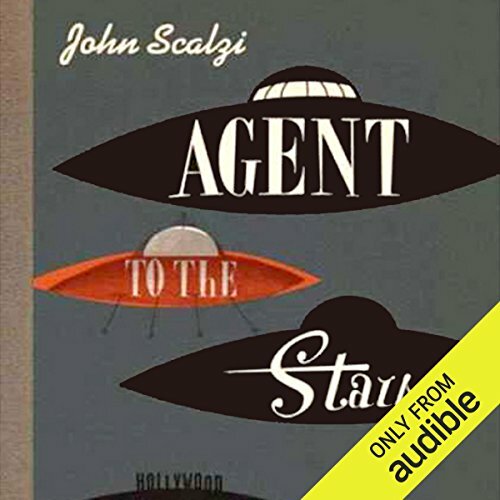 Agent to the Stars, published in 2005, was John Scalzi’s first novel and it succeeds in every way. Audible Frontiers put it on audio in 2010 and Brilliance Audio released it in CD format last month. Wil Wheaton, who narrates some of Scalzi’s other work, is absolutely perfect here. Scalzi + Wheaton is a terrific combination. If you’re going to read Agent of the Stars, which you should, please please try the audio version! Sometimes its entertaining to listen to a fun novel-a story that makes you laugh because the author has written a book with tongue firmly in cheek and the narrator gets this and performs the novel in just the right way. The John Scalzi/Wil Wheaton duo doesn't seem to be able to go wrong with this. Scalzi's books frequently are LOL funny Science Fiction-a real rarity-and Wil Wheaton seems to be able to translate this attitude so well. Agent to the Stars has a "First Encounter" plot, but it's sure not one you've ever read before. These aliens know they have a problem with their appearance and hire a famous Hollywood agent to represent them to the world. 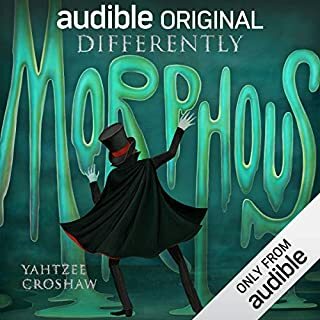 The various incarnations that "Joshua", the alien protagonist goes thru are truly funny--I found some similarity with the Iron Druid novels by Kevin Hearne, especially Oberon his talking dog-Joshua the alien absorbs the dying body and personality of a dog.....amongst others. It's crazy, complicated at times and just plain funny. Not a shoot 'em up Si Fi if thats what you look for in Si Fi you'll be disappointed, and even though it's very humorous, there is a serious plot underlying the whole slapstick comedy. Have some fun, download this and "Fuzzy Nation" too, another Scalzi/Wheaton co-op effort...both are well worth your time at the beach or by the pool. And allow yourself to laugh out loud. Agent to the Stars is a fun and fantastic read. John, Wil - Congratulations to both of you. 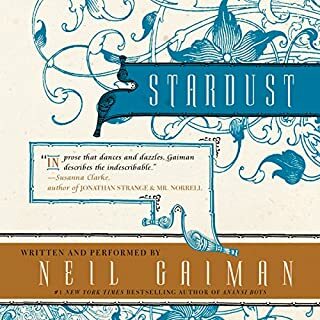 The audiobook version of Agent to the Stars is one of the best audiobooks I've ever had the pleasure to listen to, out of several hundred, including the Hunger Games & the Harry Potter series. Agent is a fun, breezy tale that's entirely plausible in its non-threatening first contact, and Wil nails the protagonist and other voices in the book. What was one of the most memorable moments of Agent to the Stars? Its absolutely hilarious. Its different and the end is simply a riot. Just wow ! This is the first book by John Scalzi I encounter. It's a first person tale of Hollywood agent who will be handed the difficult task to present to the human public a race of benevolent though physically unpleasant, smelly, blob-like aliens. Scalzi offers delectable characters engulfed in a story full of humour and humanity. 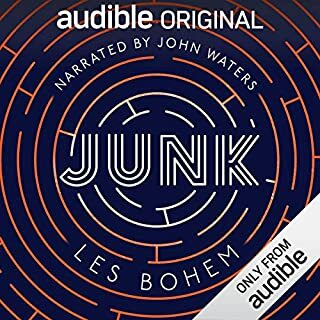 Wheaton's performance is outstanding and probably one of the most enjoyable I've heard on audiobook so far. This is a nice book, it's light and funny and very enjoyable. Wil Wheaton's performance makes it all the more better. Honestly Scalzi has much better books but this one is quite fun to read in between bigger more complex books. Fast paced, with Scalzi's trademark witty repartee. A Hollywood agent is tasked with representing a new and very important client: an alien. The dialogue reminds me of Buffy for some reason. I guess it's that "say it fast enough and throw in some snarky rejoinders and it'll be funny" thing. Except it is actually funny. I like that stuff, so I don't have to be convinced. The combination of Wil Wheaton and John Scalzi is awesome.... A fantastic book by The Big S, full of his typical wit and dialogue, narrated by the imperious Wheaton,who makes these books come alive ....For some odd reason I missed reading this book for a long time but having read the entire Scalzi oeuvre it was a pleasure to have this one left. Whether it's audio or written, Scalzi is perfect. Behind the scenes of a Hollywood agent, antsy wannabe actresses, irritating reporters, devious colleagues, repulsive looking (and smelly) aliens keen to make a friendly approach to the people of earth - and John Scalzi's fabulously comic dialogue : what's not to like? It's a great, funny story delivered perfectly by Wil Wheaton. One of the most original stories in a very long time. The characters were totally believable and well painted. Excellent plot development, and amusing dialog. Brilliant narration. Cannot wait to download another by John Scalzi. truly impressed and grabbed from the start and never let up with totally satisfied ending! Wil Weaton's voice takes you right to and through each chapter with vivid clarity and story telling prowess. Adored this book and one of the best narrations! What made the experience of listening to Agent to the Stars the most enjoyable? Wil Wheaton sets a great pace and really embodies the characters with distinct personalities - even Ralph gets a look in which is sweet. The humour, had me laugh out loud on occasion and giggle quite a bit. Hard to say, the main character is very believable but I loved Joshua and Gwedeth's humour stole the show on occasion. Mmmm there were a few but the scenes with Tom's Grandmother and when Michelle funds the Chair position were moving. On J S can combine aliens, animal love and the holocaust to make a great book. The story had promise and was well read but came to an end to quick.